Only dentists will be happy about this news. It looks as though climate change is going to take a bite out of chocolate production, according to a new study by scientists at CIAT. As well as having the potential to affect the supply – and therefore the price – of chocolate, this is very worrying news for thousands of smallholder farmers. Over half of the world’s chocolate comes from cocoa produced by smallholders in Ghana and Côte d’Ivoire, many of whom are fair-trade certified. 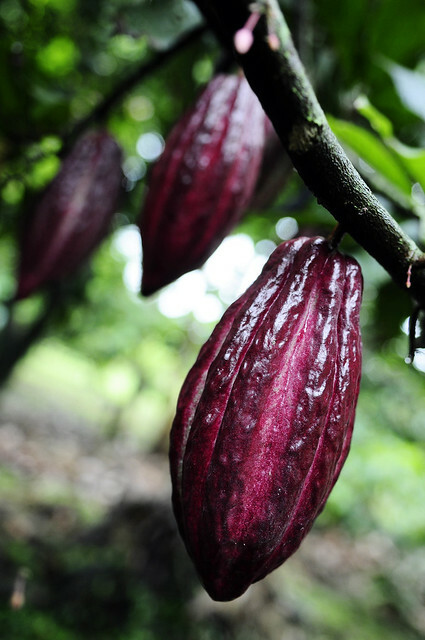 The CIAT study has found that rising temperatures in cocoa-producing regions of these countries could spell trouble for this heat sensitive crop, and the farmers who depend on it. Funded by The Bill & Melinda Gates Foundation, it is the first of three studies to look at the effect of climate change on key cash crops in West Africa, with reports on cashew and cotton due soon. These follow similar studies of fair-trade tea production in Kenya and Uganda earlier this year. The cocoa report predicts a one-degree Celsius temperature rise by 2030, increasing to 2.3 degrees Celsius by 2050. This is enough to inhibit the development of cocoa pods, which could send yields crashing and prices soaring. Some options include investments in improved irrigation systems, and scientific research into more heat-tolerant cocoa plant varieties. Click to read the Africa’s Chocolate Meltdown press release and download the study.